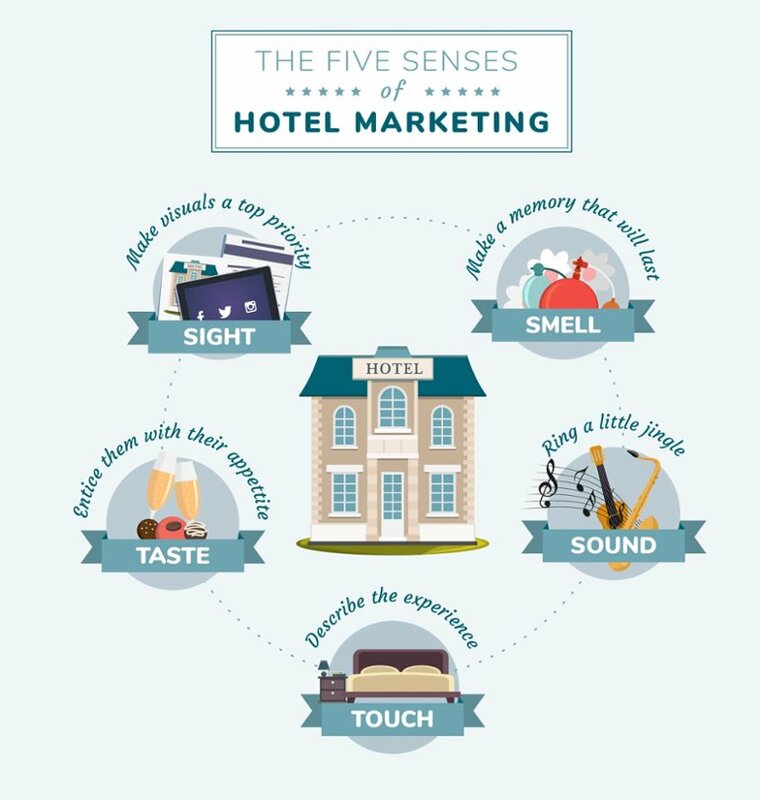 Hotel-Online » News » Are You Marketing to Your Guests’ Five Senses? Are You Marketing to Your Guests’ Five Senses? Sensory marketing has been used by some of the world’s biggest brands for decades. 35 percent of Fortune 500 companies have adopted some form of sensory branding into their marketing philosophy. Famous examples range from the iconic sound of a Coca-Cola can being opened and the drink poured over a glass of ice cubes, to the unmistakable fragrance, “Fierce No. 8,” spread throughout all Abercrombie & Fitch stores, onto the clothes and beyond the front doors. Traveling and staying in a hotel - whether for business or pleasure - is the ultimate experience and definitely taps into our emotions. Marketing to a traveler's taste, smell, touch, sight and sound therefore highly contributes to creating powerful memories and presents a real opportunity for hospitality experts to develop customer loyalty. Anyone who is looking to book a hotel today is going to want to see what the property looks like before they complete their reservation. Making high quality photos available on your website, social media accounts and other marketing materials, are therefore a necessity - but it is not enough. You also will want to appeal to the visual sense through descriptive copy, clean fonts, a vibrant color palette and an overall appealing design. Finally, according to Tambourine, 2 out of 3 travelers will watch a video about a hotel property while they are in the process of booking their trip. So, investing in this sometimes costly material can definitely make a difference. When you think about it, smell is one of the most powerful, emotional senses that you have.Properties worldwide already use signature scents to create a tailored and consistent customer experience and entice brand recognition. Intercontinental Hotels Group (IHG) for example, which owns Holiday Inn, Holiday Inn Express and Hotel Indigo has determined a specific scent for each brand that caters to different target markets, their specific guests’ expectations and desires. Why not jump in the wagon and scent your lobby with a perfume that adds to the magic of the season? From in-room TV offerings and online interactive platforms, to music programming for public spaces or custom music entertainment events, there is a plethora of ways music can help hotel brands connect with their customers. Maybe one can learn from the industry leader in the matter: Hard Rock Hotels. Among the chain musical experience offering, one can for example define “the sound of their stay”: Enjoying a perfectly curated selection of tunes. This makes the experience unique, memorable and definitely sets the tune. Textures, fabrics and materials that make up a hotel property are a unique opportunity to convey a feeling of luxury or comfort to customers on-site. In marketing collaterals, brands can target people’s sense of touch through photography or creative copy. Singapore Airlines activates this through their “Singapore Girl” flight attendants that are mandated to wear uniforms made from fine silk, which coincidently, incorporate elements of the cabin decor. Watch the video touch experience. We all love indulging ourselves and among the most enjoyable things in life, there is certainly food. Nothing new, for more than 25 years, DoubleTree by Hilton hotels have been welcoming guests with a warm, chocolate chip cookie at check-in. Today, the famous cookie has its own website. Hotels use Food & Beverage offerings as a differentiator and customers appreciate these delicious experiences, so don’t be left behind. How are you currently marketing to your guests’ five senses? This article was inspired by a Tambourine publication.